Canadian dubstep pioneers The Konspiracy Group celebrate ten years of bass science, ambient drift and sound system thought with their fourth release and second twelve inch, ‘What It's Not’ by Kuma. 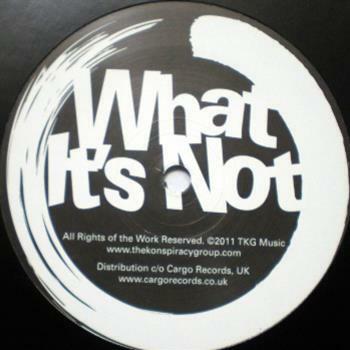 Standing as The Konspiracy Group' firmest statement to date, ‘What It’s Not’ is an uncompromising slab of heavily swung dubstep that sounds like nothing else rocking floors today. Strings and chimes straight out of Detroit meet one of Kuma's finest basslines to date, and a rhythm that invokes the swing of classic Zed Bias and the grime of classic No-U Turn (or should that be, Turn U-On? ).